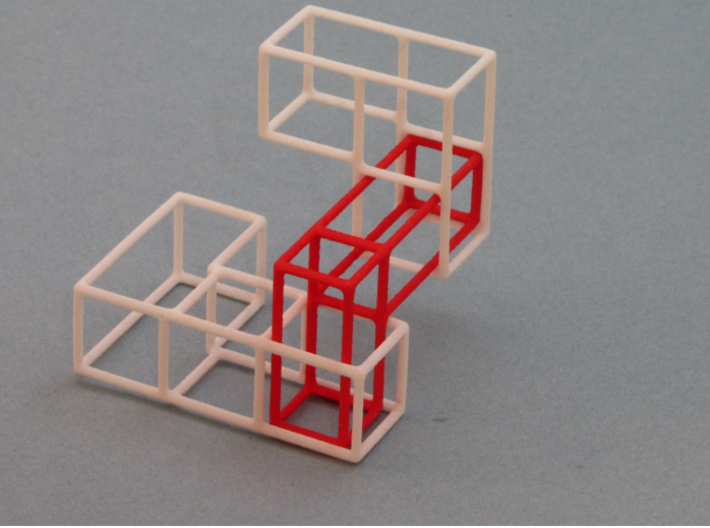 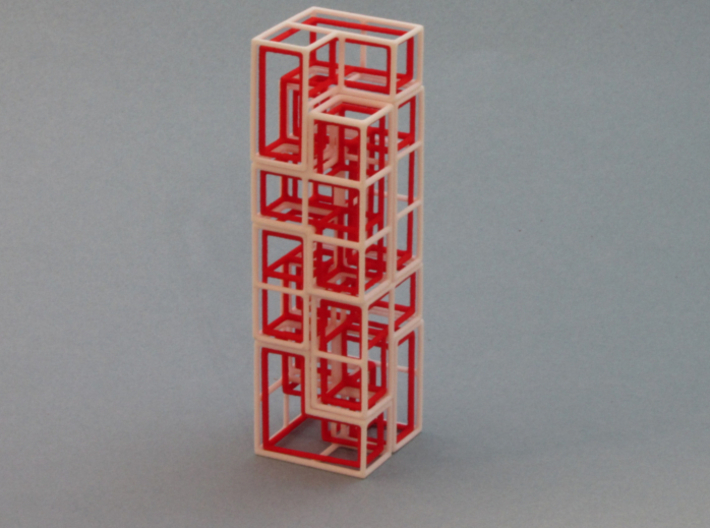 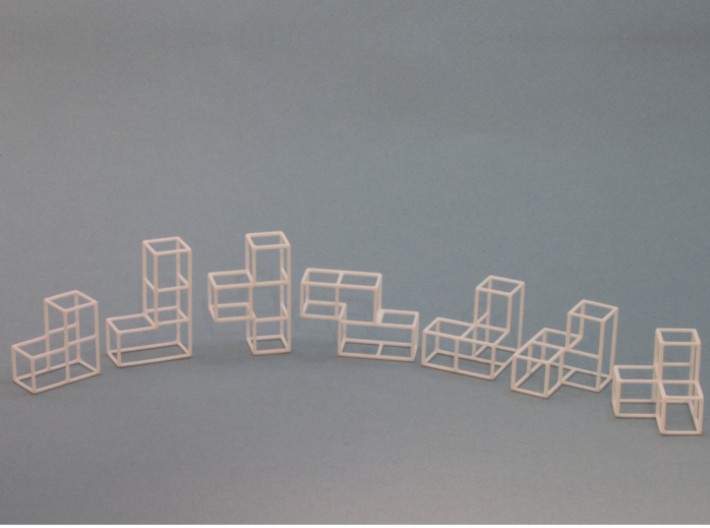 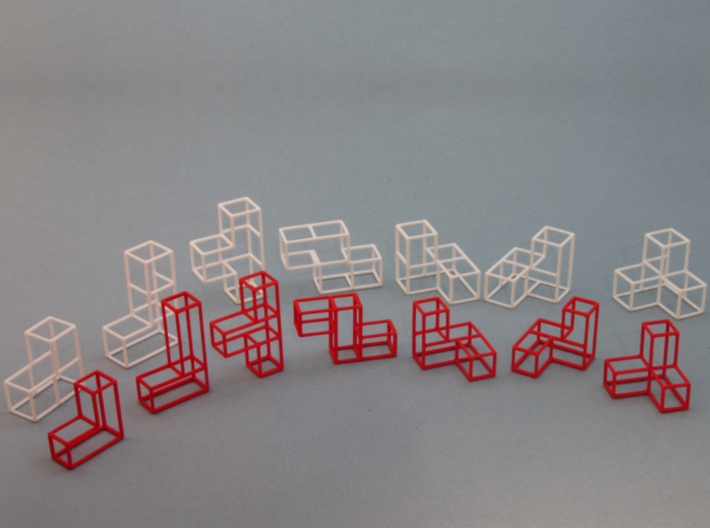 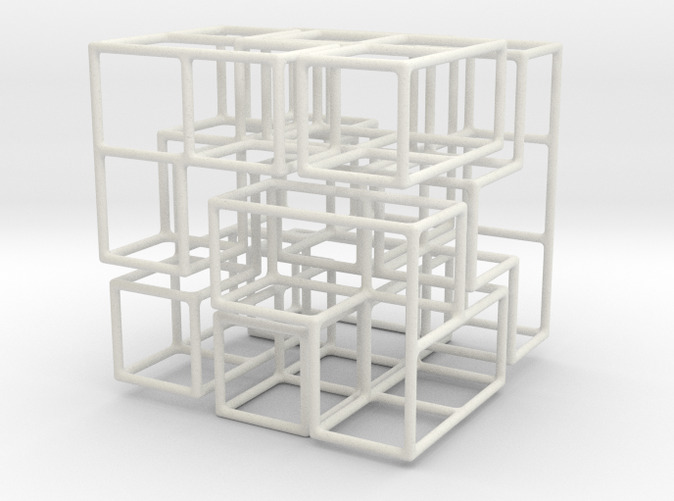 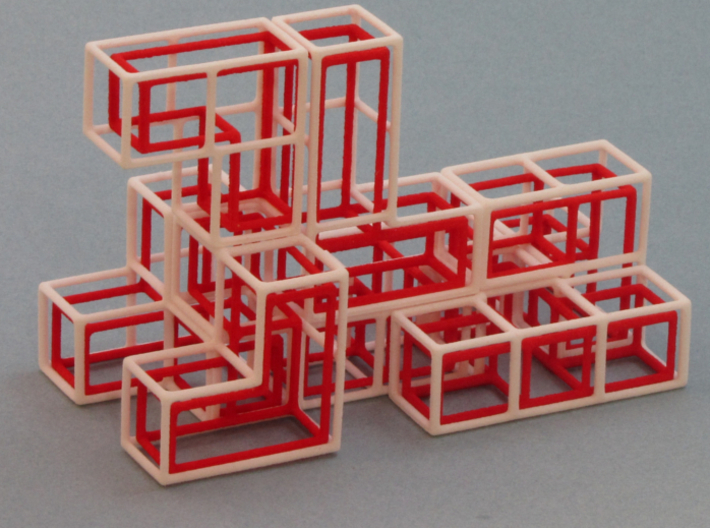 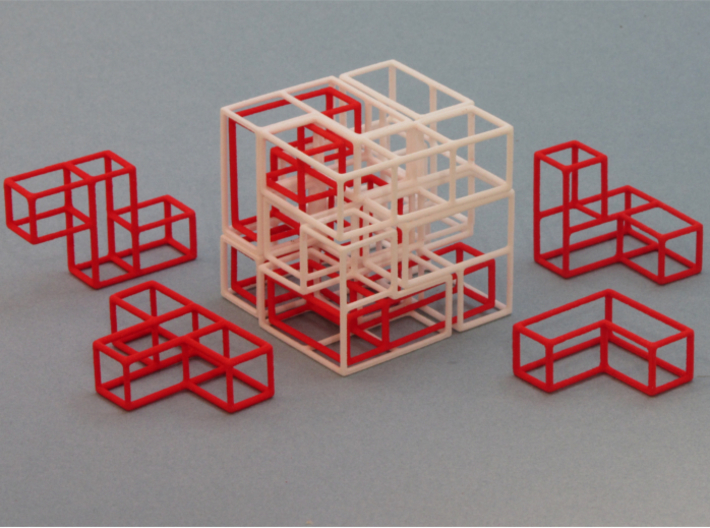 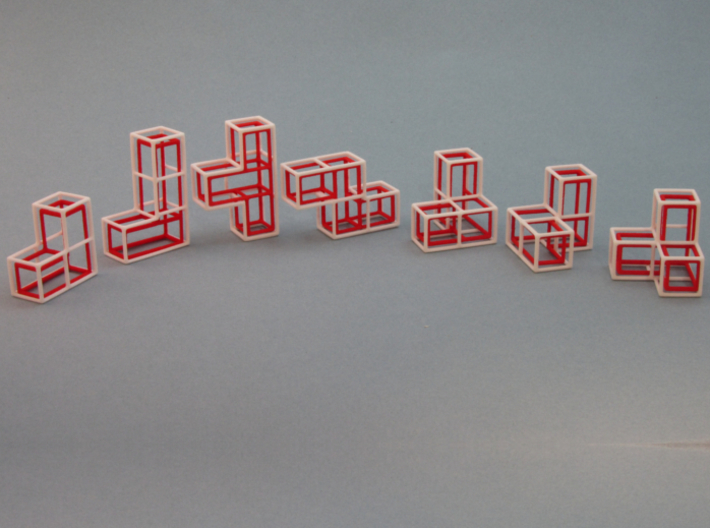 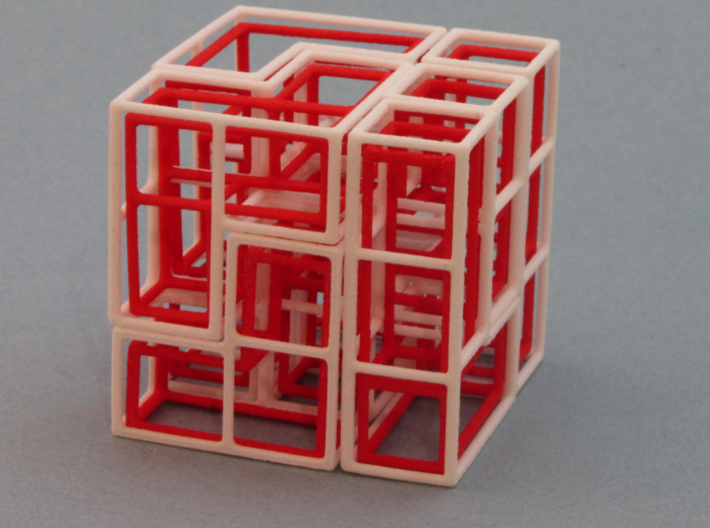 SOMA Cube Puzzle has a new twist: 14 Interlocking pieces. 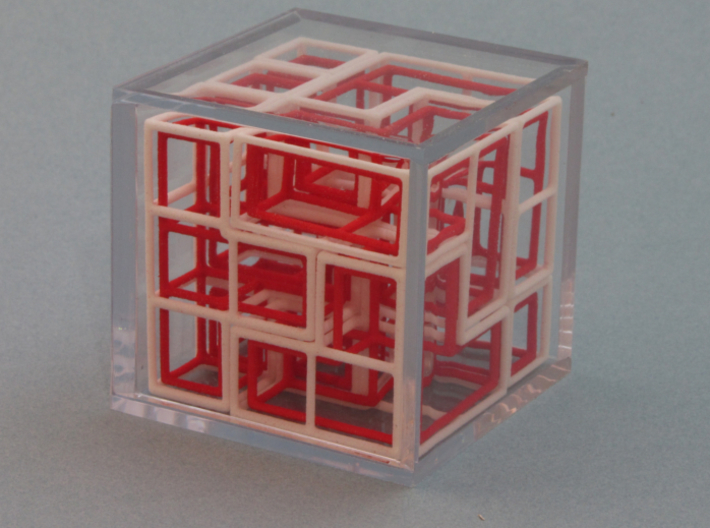 Inner parts slide into outer ones for interlocked "cube in a cube" challenges. 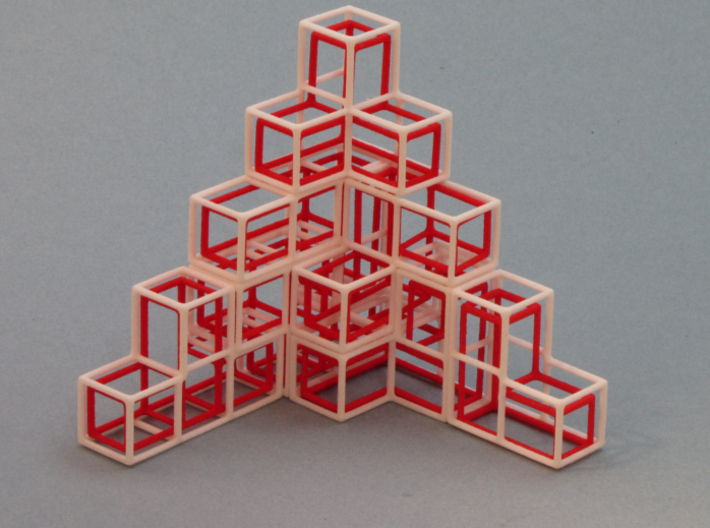 Color and material options are in the "Select Material" drop-down list on the right. 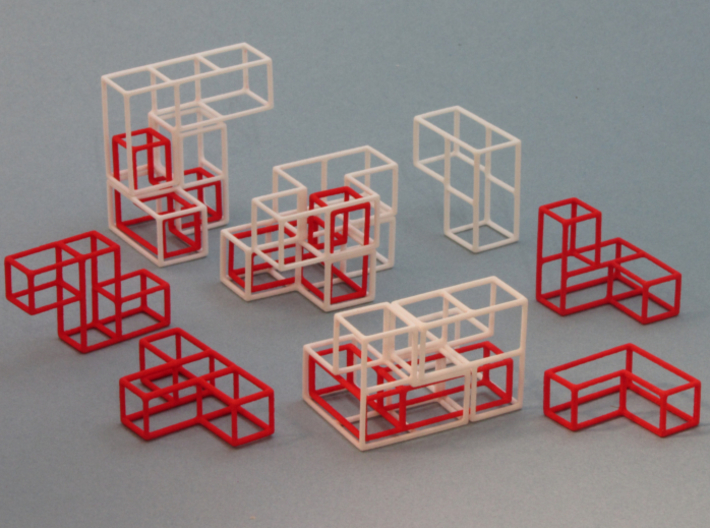 If you want an option not shown or would like a quantity discount, please click on the "Contact Designer" button to write me an email. 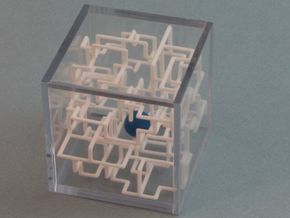 Go to my SOMA's Revenge - Interlocking Puzzle Cube page for a complete description of the puzzle. 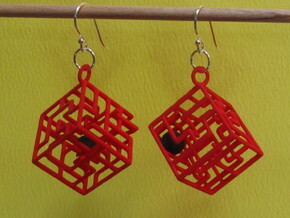 You can also order all 14 parts there. 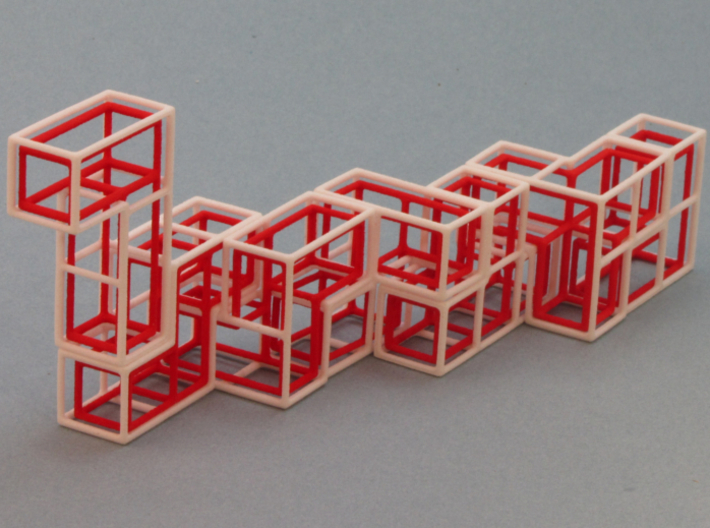 SOMA's Revenge is an interlocking assembly cube puzzle with sliding pieces. 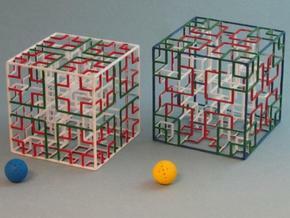 The new and unique challenge for this puzzle is to assemble the pieces into interlocking cube configurations. 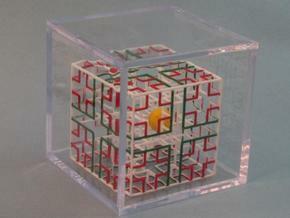 It also has hundreds of other challenges that involve assembling the pieces into various figures.